Freezing cold like in Siberia, but I don’t mind. The sun is shining and the temperature is rising about 10 to 15 degrees Celsius from the early morning temperatures. 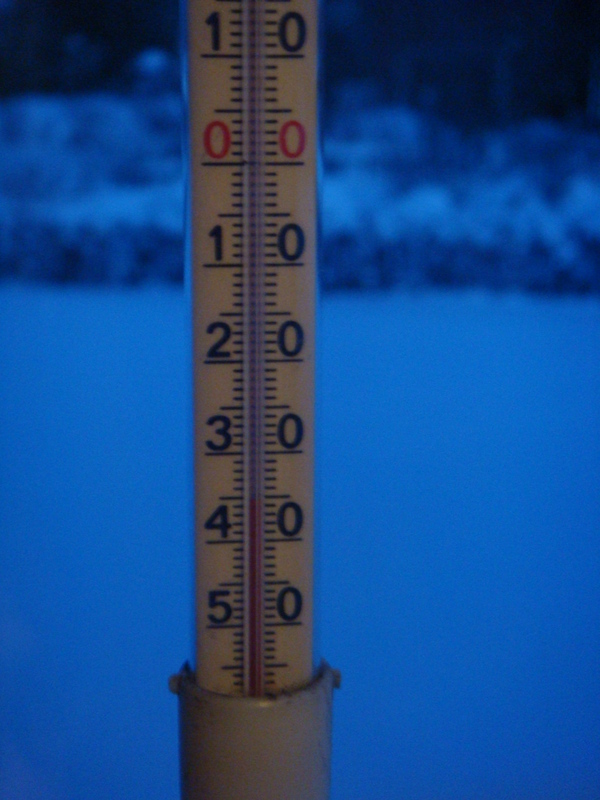 Yesterday we had -35C and this morning ‘only’ -28C. I spent a lot of time on my cross country skis last week. This week I have been swimming and doing power training and avoiding being outside too much. The cold and dry air is not very ideal to breathe in and also a few days with other training impulses will have a positive impact on my body strength and general fitness. On Thursday I am flying back to the ‘south’. Then I and my tailbone will be ready to start the cycling season. I am looking very much forward to take out my road bike and mountain bike and hit the roads in Germany’s Toscany – Kaiserstuhl.